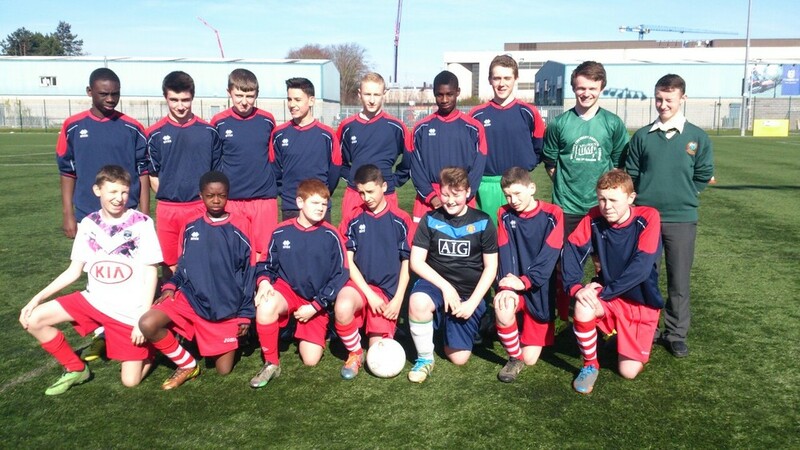 The second year boys’ soccer team who were narrowly defeated today,11th March, by a very strong Ashbourne C.C. side. Despite the loss there were some fine individual performances all round the pitch with Jack Noonan scooping the man of the match award for Colaiste Chiarain.